270kmph. And I'm feeling ecstatic. 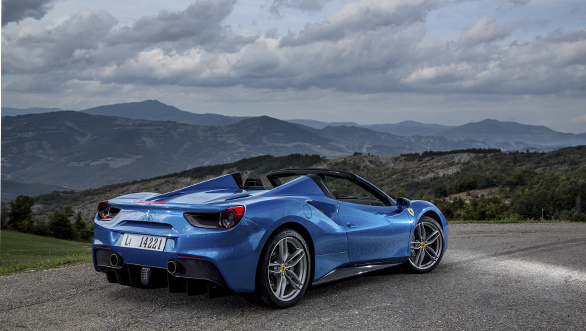 The Ferrari 488 Spider might just be the absolutely, most impressive car I have ever driven. It combines the two things I like most in a car. It should be a convertible. And it should go as hard and as excitingly as a motorcycle. And that this Ferrari does. In eye-widening, jaw-slackening style with all the elan that comes built as standard into all Italian fast things. 270kmph and we're in a sweeping uphill right that will end after the world passes into nuclear winter. Or so it seems. But the car is unruffled. My ham-fisted inputs are smoothened out, and the car's grasp of line is impeccable. And it stays glued to the line I've chosen. Inside the cabin, things are quiet. Like a calmly piloted fighter jet might be. Outside, the furious, distinctive and very loud roar of a Ferrari engine resounds lustily off the sand dunes all around. While a curvaceous, low-slung grey shape shatters a quiet, languid desert afternoon to shreds. It makes you want to ignore the 43°C outside and take the top down anyway and let it all in. 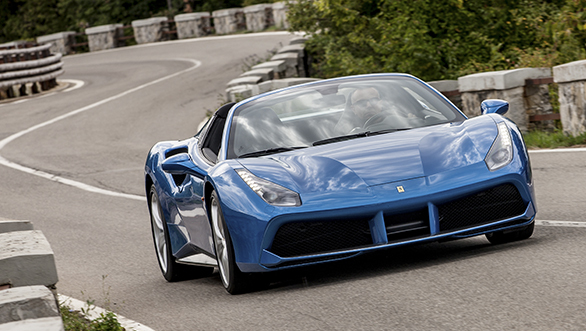 Now, the 488 Spider is not an all-new car. It's based closely on the 488 GTB and it adds some 55-odd kilograms in additional chassis reinforcement and the metal folding roof. But unlike most convertibles, this seems not to affect its performance at all. Ferrari claims identical acceleration to the GTB, and for all the sideways action, fast sweepers and some bumps and lumps, I couldn't detect any sign of the scuttle-shake that legends say comes with the loss of a roof. Sideways action. No, that wasn't what you think. I only ever got the 488 sliding when cornering carelessly over a dirty stretch of road. And I think the Ferrari's electronics solved the slide, not me. My sideways action was confined to the many speed breakers we have to cross. 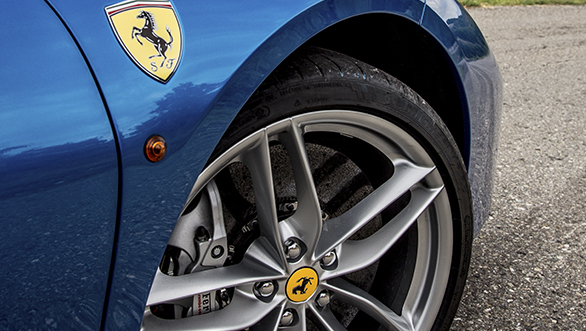 The Ferrari is sprung firm, and even the smooth roads of the Middle East can feel bumpy in Sport mode. Even more so in Race mode. There is a 'bumpy road' button that temporarily tells the electronically controlled suspension to soften up to handle a bad stretch. Rather useful, this button is. One should also make time to comment on the exquisite interior. I like the large screen in the middle with the two overlapping dash elements that underline its integration into the car. I adore the Ferrari's second screen that allows the passenger to see and control the data too. The low-mounted seats are required by the function of the car, and getting in and out is a bit of a bother. But ultimately, the Ferrari feels truly special. But that's all hindsight. Because when you're in the car, the engine and the chassis take centre stage. It's like some excellent local band slinking off the stage to allow Iron Maiden or Aerosmith to play their gig. And my word, what a magnificent performance it is. Press the launch button and get going and all you've to do is feed the gears as the 3.9-litre turbocharged V8 revs impossibly quickly to well over 8,000rpm. On one stretch, well over 300kmph appeared with frightening swiftness. And a most becoming spume of sand sucked out of the tarmac by the violence of the acceleration. 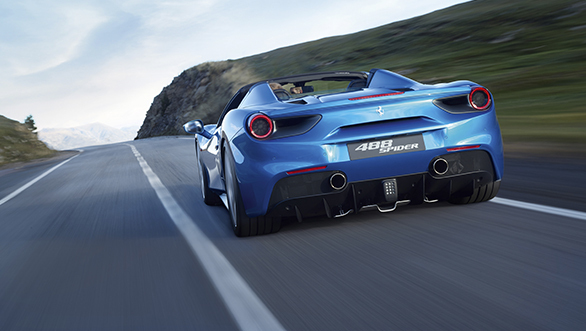 0-100kmph comes in 3.0s, says Ferrari, and the top speed is north of 325kmph. The 7-speed F1 dual-clutch gearbox is lightning quick and very smooth, and the auto-blipper's work as you slow back down is art. There appears to be no part of the revs where the Ferrari doesn't appear to be on song. You keep reminding yourself that this is a turbocharged car and that some lag is to be expected. But it never comes. Very, very impressive. And just like the engine and gearbox work in beautiful sync, the chassis and chassis electronics come together brilliantly as well. What electronics? I quote, "E-Diff3, F1-Trac, High-Performance ABS with Ferrari Pre-Fill, FrS SCM-E and SSC". The slide I had? I actually thought I'd applied opposite lock correctly before sheer modesty of my talent and bank balance re-asserted themselves. It was probably all these elecronicses. The front and rear ends are super communicative, and body roll is on an extended leave of absence. The result is a very fast, very luxurious go-kart. The steering creates changes of direction that seem impossibly fast as well as accurate. And this lightning quick ability to turn doesn't come at the expense of long corners either. There is a confident stability that makes 270kmph sweepers seem easy, and only the weight of yourself against the bolstering of the seat or something like that betrays the intense state of play. All that ferocity can be backed off in town. Where the curves come into their own. Reflecting the oil-powered opulence of the Middle East on this drive, the curvaceous panels of the Ferrari and the deeply appealing squat, wide and low form of the 488 Spider is hard to ignore even in this classy grey shade. Take the roof off and people with diamond rings on every digit give you the thumbs up from behind mirrored lenses. My god. 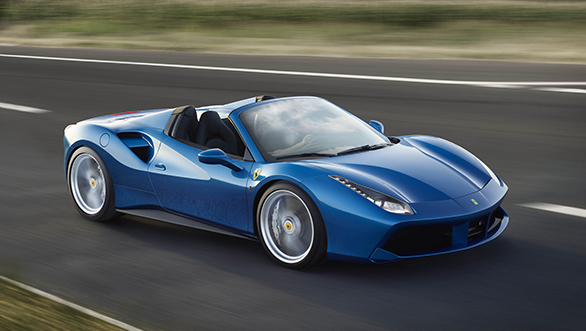 What a brilliant little car the 488 Spider is. This is said with the intense realisation that even if you and I had one in India, we'd be short of places to drive a car this flashy and this low on the ground. And yet, like all the best things in the world, the experience is so worth it that one must resolve to make the time.